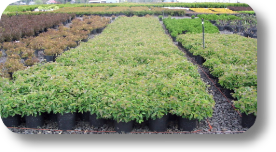 Get the same great quality materials that you've come to expect from our wholesale yard at greatly reduced prices when you buy direct from our fields. Our tree production fields are located near our wholesale yard in Corcoran, Minnesota. 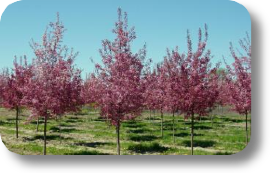 We offer "field direct" shade and ornamental trees during the spring di gging season at up to 30% off wholesale prices with a 20 tree minimum order to purchase. Trees must be picked up or delivered to your site within five days of notification. After ten days, Grove Nursery reserves the right to resell the material or charge a maintenance fee. Please contact a sales representative for current price and availability or to schedule a tour and experience our quality for yourself. 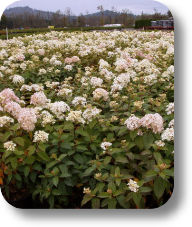 For larger quantities of container shrubs, we offer a Direct Ship Program in which we ship material directly from our Oregon grower's field to your site. This eliminates handling costs and averages our customers a saving of around 25%. This program has expanded every year since its induction, and we are proud to offer several additional varieties and sizes, particularly in our evergreen and ornamental grass categories. As always, our commitment remains to offer top quality plant material at unbeatable prices. We typically begin shipping towards the end of April and continue through the end of the season, ensuring your orders will always arrive fully flushed, fresh, and ready to sell. All plant material is available with descriptive picture tags at no additional charge to help the materials sell themselves at your site. We also offer custom labels, with your company's name and pre-pricing for a one-time setup fee. Please contact a sales representative for more details.